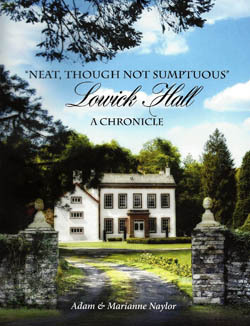 Lowick Hall, a small Cumbrian manor house, has a history stretching back nearly a thousand years. This illustrated book traces the history of the house and its owners, from Ivo de Taillebois, a friend of King William Rufus, to the writer Arthur Ransome and beyond. The families of Ambrose, Latus, Blencowe, Everard, Montagu and Cavert owner the manor in succession. During this time the building evolved from a fortified pele tower into the "Neat, though no sumptuous" house lovingly described in George Blencowes's eighteenth century poem.